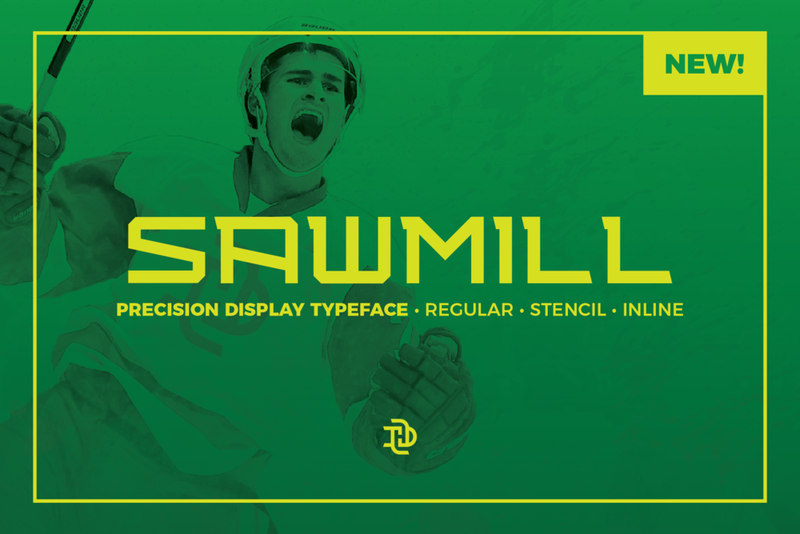 Precision cuts and a no-nonsense block typeface come together for Sawmill, a precision athletic display typeface; the perfect font for someone who likes to measure twice and cut once. 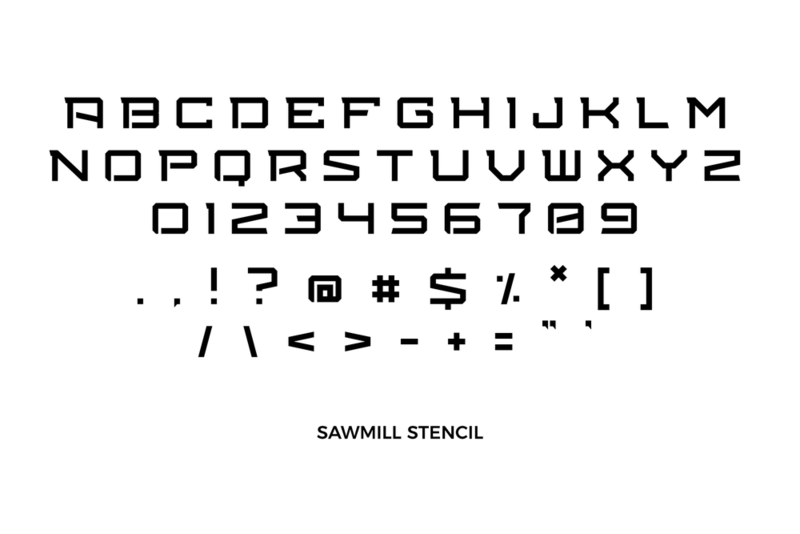 Available in 3 varieties, Sawmill features regular, stencil, and inline options. Sawmill fits a variety of uses where precision and impact are needed. From beer bottles to billboards, posters to packaging, Sawmill is a great choice when you need to add some sharpness and impact to your project. Sawmill fits a variety of uses where you need to measure twice and cut once." From bus wraps to book covers, posters to packaging, Sea Dog is a great choice when you need to add some hard-working grit and a ‘roll up your sleeves’ attitude to your project. Sawmill ain't just for lumberjacks – it’s comfortable in all kinds of scenarios: athletic branding and apparel, craft beer labels and packaging, restaurant menus and signage, retro badges and illustrations, even print and digital advertising.